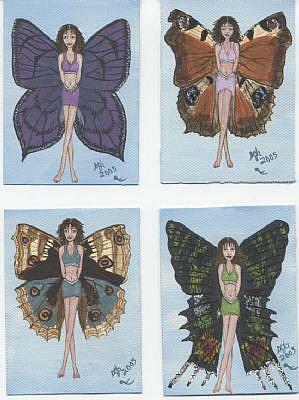 These butterfly fairies have a lot of detail and were so much fun to do. 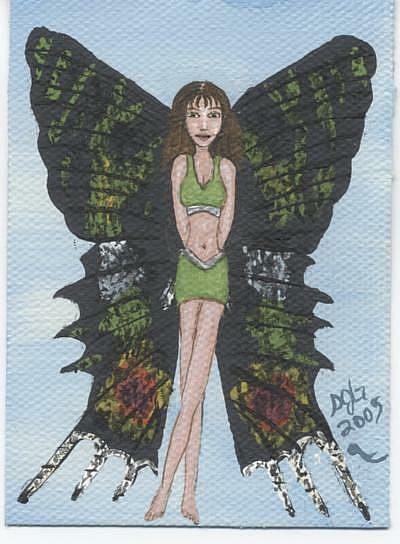 The wings are based on real butterflies and moths. I plan to do quite a few of these, but I don't know how many. 2 1/2" by 3 1/2"